With this tour you will explore the full range of Finnish adventures and get only positive emotions. 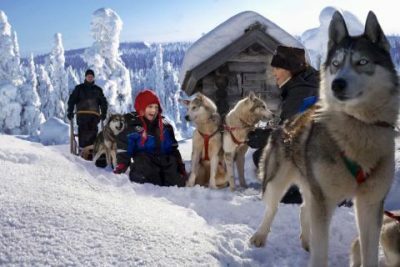 Visit Helsinki – the capital of Finland, admire its neoclassical architecture and go to see the modern arts in a famous museum; make a super shopping; explore overnight train to Lapland; try husky safaris and reindeer ride and of course do not miss to swim in the icy crystal water of Bothnia! 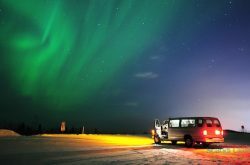 This day you start your individual northern lights tours to Lapland. Arrive in Helsinki under own arrangements. Accommodation in this modern city will be at the centrally-located Holiday Inn City Centre Hotel or similar. The private airport transfers are available upon request. Following breakfast in your hotel, the day commences with a Panoramic Sightseeing Tour of Helsinki. Of just under two hours duration, this quality audio tour is by bus, and your friendly host will introduce the city’s most interesting features and will share much information about Helsinki. Included sights are the Senate Square, Parliament Building, Finlandia Hall, the Uspenski Cathedral, the Sibelius Monument, and, where possible, the Temppeliaukio (Rock) Church. 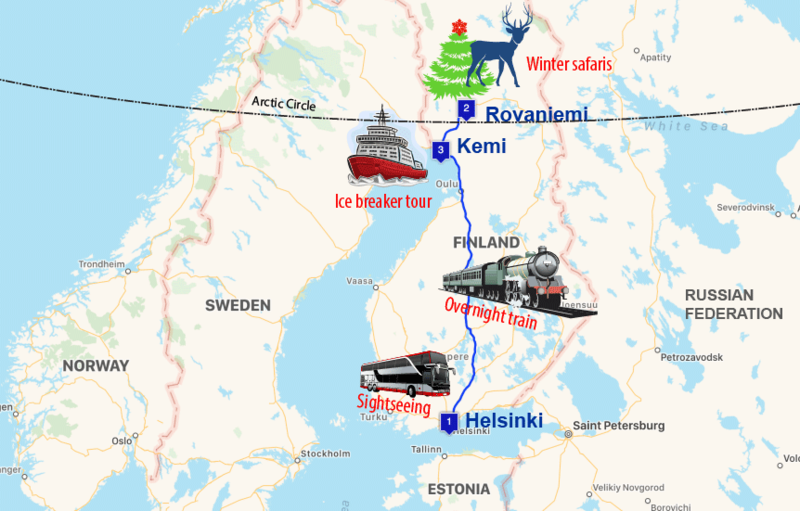 Depart in the evening by a modern and comfortable doubler decked overnight train to Rovaniemi – Lapland’s capital. You may also want to check the weather in Lapland. Arrive by train at Rovaniemi in the morning. Private transfer to hotel (early check-in upon availability). Located in the heart of Lapland, Rovaniemi is a city which lies on the banks of the Kemijoki River, between the Ounasvaara and Korkalovaara Hills. 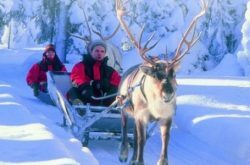 A true winter wonderland, it is but a short distance from the Arctic Circle, and the perfect base from which to enjoy all that Lapland has to offer. Accommodation will be at one of the modern, 4-star hotels that are conveniently located in the city centre, close to restaurants, bars, and shops. Your adventure begins as you travel by car to an authentic reindeer farm for a reindeer sleigh ride. 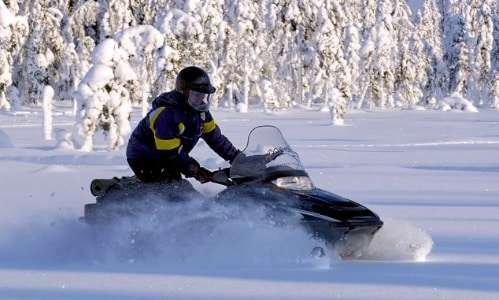 The traditional winter mode of travel in Lapland, this is a unique experience and passing through pristine, snowy forests this way is enchanting. 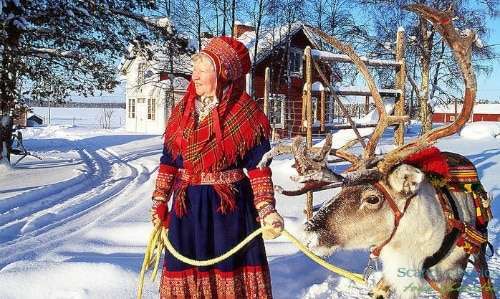 Following the reindeer-led ride, sit back by the campfire and enjoy a warming cup of hot coffee with a tasty bun, while you listen to learn about the life of reindeer herding. Following this magical sleigh ride, you will then embark on what is a true, once in a lifetime experience. Take an exhilarating ride via snowmobile through the magical Arctic night, through snowy forests and over a frozen river, to marvel at the bright stars and moonlit sky. With a little luck, the Northern Lights, or Aurora Borealis, will appear for a truly amazing vista. Snack and sip warming beverages by the campfire while your guide tells you more, in depth, about Lapland and the Aurora Borealis. This two-in-one safari takes you into the evening. You will return to your hotel, where you can enjoy a hearty dinner (not included). 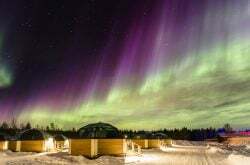 Following Nothern lights safari, relax at leisure: enjoy a drink at the hotel bar, take a dip in the swimming pool, or savour the true Nordic experience of the sauna. After breakfast enjoy the time on your own. 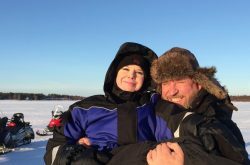 In the afternoon, you will transfer by private car to the central station, from where you will depart in comfort for the town of Kemi, on the Gulf of Bothnia. Accommodation in Kemi will be at a comfortable 3* hotel located in the city center. Evening at leisure. A morning to explore an amazing and emotional safari with friendly husky dogs. 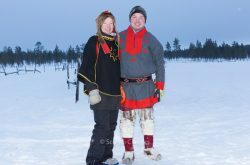 After this tour you can choose your own itinerary, there is a wide array of Lapland tour options to suit the taste and preference of every guest. 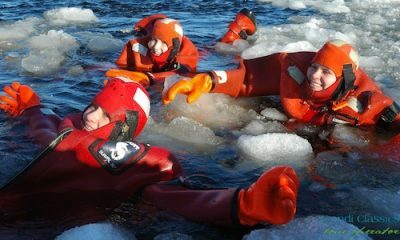 All winter safaris are available for booking via our “Outdoor Activities” collection page. 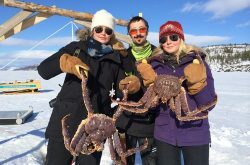 Choose from an Ice Fishing, Snowshoeing, Cross-Country Skiing, and much more. 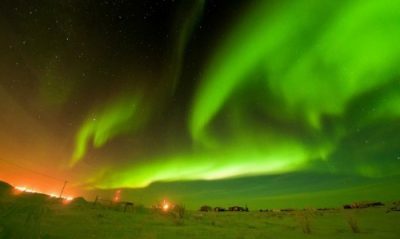 The most interesting part of the northern lights tours is ahead!. 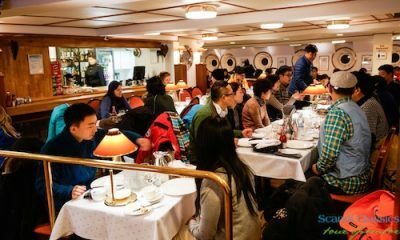 Following breakfast, you will be transferred for an unforgettable adventure on the Icebreaker. This majestic vessel cruises though thick ice in the Gulf of Bothnia, and is Kemi’s greatest tourist attraction. Amidst the thundering sound of the Sampo’s steel crushing tonnes of ice, tour the ship, and even you can dip in the icy sea! When you return from the cruise in the afternoon, you can discover the beautiful, unspoilt town of Kemi at leisure. Visit the Snow Castle. 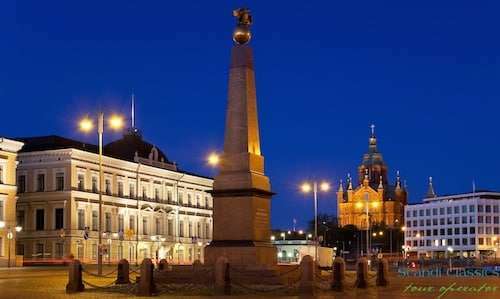 In the evening you will travel via private transfer to the railway station for your return overnight trip to Helsinki. Arrive in Helsinki in the morning, where the tour will end and you can shop before you either depart the city or carry on at leisure. It was great and our liaison person, Aleksi, is very patient and amicable. Approachable and willing to assist us in every way possible! Good job!